10 Things You Should Know About Remote Camera Systems - FTS Inc.
Part 3 of a 4-Part Series on Cameras. Read Part 1 here and Part 2 here. Remote camera systems are beginning to catch on as valuable environmental monitoring tools. As the need for richer situational data increases, visual evidence is gaining importance as a key component of a comprehensive monitoring solution. Camera systems reduce the need to constantly transport personnel for reconnaissance purposes, saving both time and money. Portable camera systems can be deployed in areas too dangerous or inconvenient to have people in, such as in fire or flood danger zones. Cameras equipped with infrared capabilities allow for the tracking of fire hot spots. This can be extremely helpful when mopping up a fire, especially at night, as hot spots may not be visible to the human eye. They allow you to keep an eye on areas you may have other sensors in, providing visual confirmation of events like water level changes or forest fires, without having to physically be on site. Depending on supported profiles, some systems are camera agnostic, allowing users to attach any compatible camera to best suit their needs, like infrared or panoramic units. Camera systems excel at monitoring smoke and air quality, as they can track smoke and cloud movement. Some portable cameras can be rapidly deployed, making them invaluable in emergency response situations as an extra set of eyes. Depending on their software platforms, some allow you to track long-term changes using time-lapses. Of course, they add an element of added security with their inherent surveillance capabilities. Properly equipped systems also have video capabilities, allowing users to watch and record high definition clips. BONUS: Systems with Internet of Things (IoT) capabilities allow for intelligent interactions and decision-making with compatible sensors, i.e. a temperature sensor triggering a photo being taken and sent to relevant users. 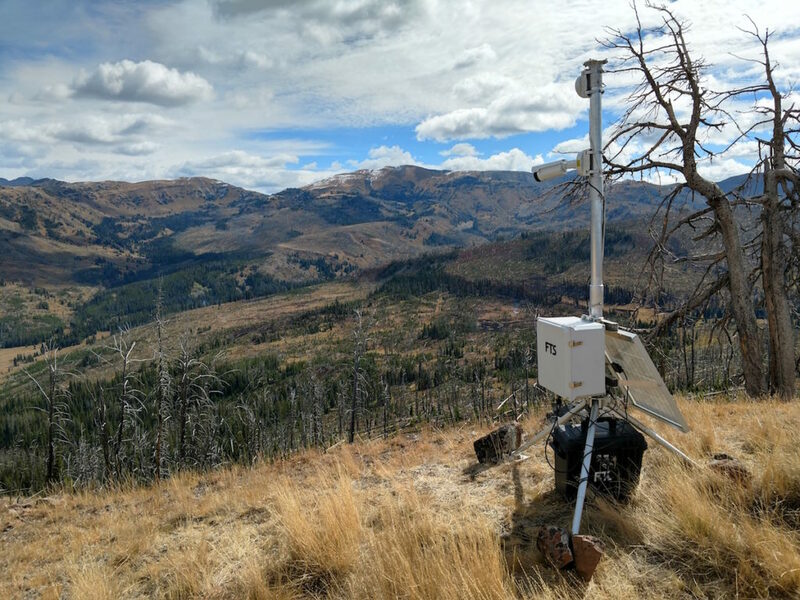 With all of these benefits and more, remote camera systems can be an extremely valuable tool in environmental monitoring networks, especially when working in conjunction with other sensors. The FTS Remote Automated Observation System (RAOS) is a solution that can provide the entire list of benefits, promising Complete Situational Awareness. Learn more here.